So after hearing “Jimseven” (James Hoffmann) talking about the optimal milk temperature of a traditional 6oz cappuccino, I became inspired to investigate and actually determine where the “sweet-spot” was [pun intended!]. This morning, I stuck a thermometer into two separate 6oz cappuccinos I made, the same way I always do for myself. NOTE: I want to be clear here, I make sure the milk is cooler at home than at the cafe (because people get angry when their coffee isn’t hot). Right, so the usual temperature I use for myself by feeling it out with my hand kept landing at ~115°F. Now that is much lower than I would expect to see in a cafe where the recommended is ~145°F. Over the next week or two I plan to sample everywhere from 100°F to 140°F and then post my results. Perhaps this could become a group effort, leave it in the comments if you have any suggestions, feedback or want to get involved with this. This is the first part of an extended series of inquires into how and why coffee can be culinary. You will be able to track everything via its category Culinary Coffee. Cooking seasonally is important, and it has been for a very long time. This is especially important in high end restaurants, who can change their menus anywhere from 2 to 4 times a year. On top of this, if you have ever read any sort of cookbook that goes beyond simple recipes, seasonality is also important. I am not trying to suggest that everyone should be able to cook seasonally, however it is well documented that we are programmed to enjoy things seasonally. As a really simple example: a fresh citrusy salad in the summer; and conversely in the winter we drink porters and stout, as well as dining on the French classic potato leek soup. Why has it taken so long to translate seasonality to espresso? Espresso is complex, we all know that. I just finished listening to the latest CoffeeGeek.com podcast where Mark interviewed James Hoffmann (who most of you internet folk know as “Jimseven“), and it’s got me thinking. Actually, I’m sure it has everyone thinking. In a nutshell, they summarized what [they felt] were the milestones of 2010. At the very end, they left seasonal espresso open for discussion. Unconsciously, we all see the Christmas blends come and go (which may or may not do justice), but until recently the seasonal espresso hasn’t existed. However, it’s easy for anyone to predict this exploding in 2011. Here at Coffee Folk, I have my eye on numerous espressos and roasters now, simply for the reason they offer seasonal blends. On top of this, they are highly recommended by others in the industry. I know for a fact I’ll be sampling both seasonal blend’s from Barefoot Coffee, as well as Alchemy from George Howell (and that’s just off the top of my head). I know I am very excited about the possibilities of this, but I’m also cautious about it’s dangers and misuse. Just another way to take your coffee experience to another level? Will this become a gimmick that lower end roasters use to boost sales? 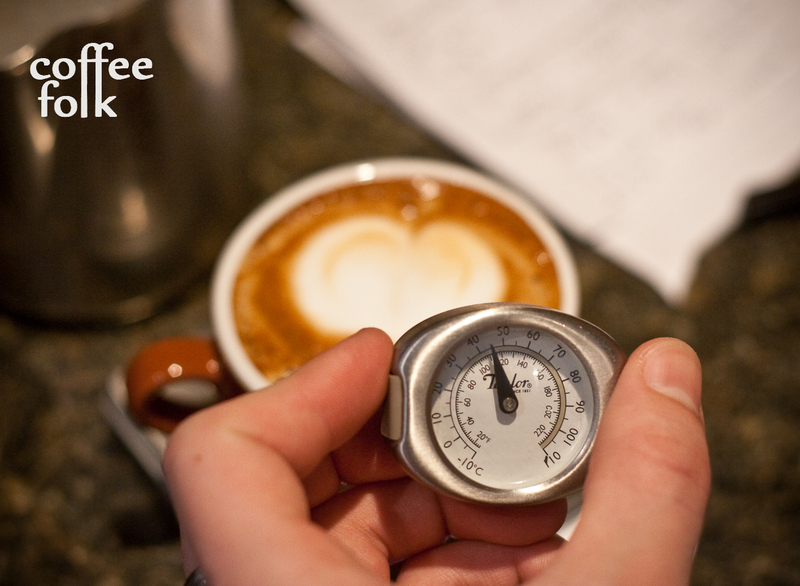 Where do you stand on seasonal espresso blends, and where is it going for 2011?